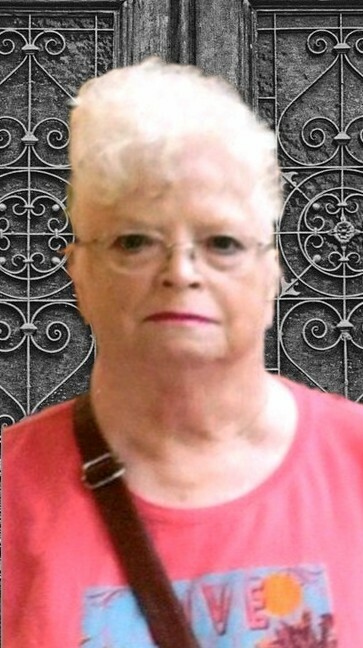 Sandra Sue “Sandy” Hubbard, 73, of North Vernon, passed away at 2:45 p.m. on April 4, 2019, at her residence. Born April 18, 1945, in Cincinnati, Ohio, Mrs. Hubbard was the daughter of Russell Elsten and Lois Irene (Etter) Wingate. She married Ron Hubbard on April 26, 1975, in Greensburg; he survives. Mrs. Hubbard worked as an operator for ComponX in North Vernon before retiring in 1999 and had also worked 11 years for Jennings Healthcare Center; Regal Rugs from 1975-1981 and was a Home Healthcare giver. She was a member of Graham Baptist Church, Ethel Morris Missionary Society, Cruise Club and Euchre Club. Mrs. Hubbard enjoyed playing cards, especially euchre, and going to the boat; she especially loved her dog and spending time with her grandchildren. Surviving with her husband, Ron Hubbard, are sons, James (Joetta) Singleton of Deputy, and Rodney (Sharon) Hubbard and Ricky (Marcie) Hubbard both of North Vernon; daughters, Robbin (Mark) Strope of Commiskey and Sonja Bryant of Edinburgh; sister, Karen (Bill) Sharp of Hardin, Kentucky; thirteen grandchildren; and eleven great-grandchildren. She was preceded in death by her parents and her grandson, Harley King. In keeping with her and her families wishes, cremation is planned. Dove-Sharp & Rudicel Funeral Home was entrusted with the care of these arrangements.